In 2017, B4C received a grant from the Australian Government, Department of Industry Innovation and Science (titled Moreton Environmental Action, Eight Mile Plains Billabongs). This is a three year project commencing in July 2017, with completion in 2020. The project involves onground works in three Council owned parklands that join and form a wildlife corridor along Bulimba Creek. It runs from Underwood Road Park at Eight Mile Plains, through Wally Tate Park to Beenleigh Road Park at Kuraby. Throughout all sites control of weeds and invasive species will occur with a priority focus on Weeds of National Significance (WoNS). Enhancement and rehabilitation of all sites will occur through revegetation and recovery of existing native flora. 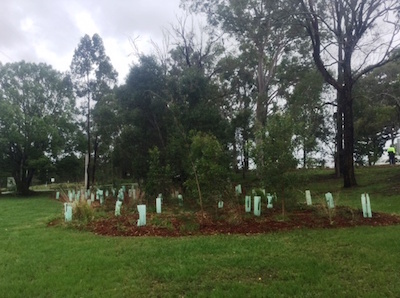 Total revegetation will be over 2000 native plants and a visible reduction in weeds for targeted areas. 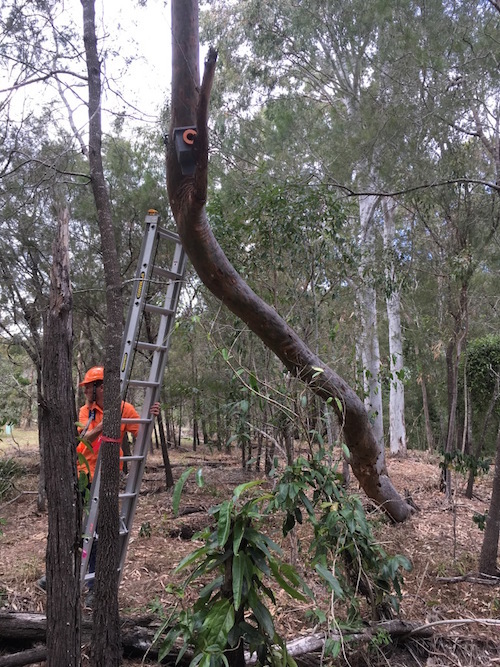 Results from existing works conducted in the area have indicated successful revegetation and weed reduction. With the inclusion of 20 nest boxes, fauna monitoring results can be obtained from visible results and compilation of data from fauna monitoring cameras. 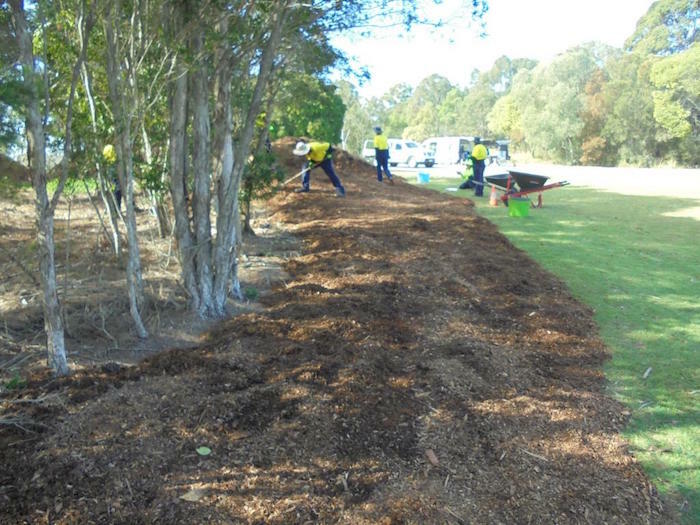 Green Army teams are assisting the B4C Landcare Services team with weed controls, planting and watering. We acknowledge the support from the Australian Government, as well as Brisbane City Council. Mulching at Wally Tate. July 2017. Eight Mile Plains, Green Army, Wally Tate Park, wildlife corridor.